Heather Albano likes telling stories. She divides her time between writing traditional fiction and creating games / interactive fiction, and finds the line between the two growing fuzzier all the time. On the game design side, she has co-authored five titles released by Choice of Games, including the award-winning Choice of Broadsides and Choice of Zombies, and was lead writer on the critically-acclaimed interactive radio drama Codename Cygnus, released by Reactive Studios. She has been invited to present on game design at Women in Games Boston, at MIT, and at the upcoming East Coast Game Conference. On the traditional fiction side, she is the author of the novel Timepiece (a steampunk time travel adventure about a girl, a pocket watch, Frankenstein’s monster, the Battle of Waterloo, and giant clockwork robots taking over London) and its sequel Timekeeper. Her short fiction has appeared in Electric Velocipede, Aoife’s Kiss, the More Scary Kisses anthology from Ticonderoga Publications, and others. 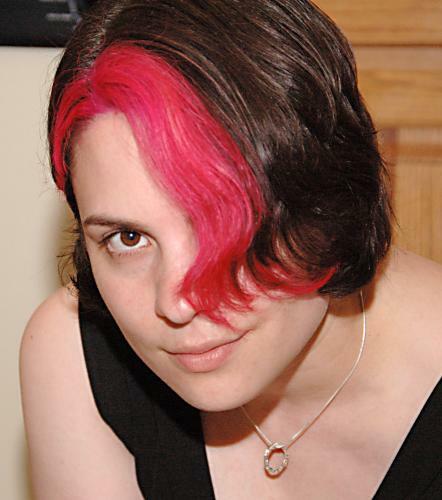 She is a member of the Writers Guild of America, the International Game Developers Association, Women in Games International, Women in Games Boston, and the Cambridge Science Fiction Workshop.